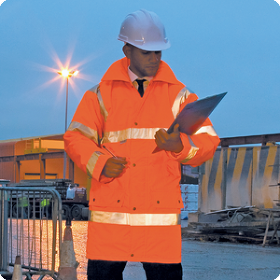 Whether you require high specification embroidery onto bespoke uniforms, or printed hi-viz jackets and vests we can supply the full package. Our online catalogue will give you the opportunity to browse an extensive range of garments at your leisure, or our experienced customer service team can suggest garments suitable for your particular trade or requirement. We can print and embroider varying items from an extensive range of manufacturers to suit every budget. T-Shirts, Sweatshirts, Poloshirts, Hoodies, Boilersuits, Shirts, Blouses, Jackets, Hiviz Vests, Hard Hats, Safetywear, Fleeces, Sashes, Aprons, Tabards, etc. With our inhouse sign and full colour digital print facility we can offer you the complete package. From stickers and bannerstands to safety signs, banners/flags to signage, we can offer you excellent prices and ensure consistency of your identity throughout your corporate branding.